Historically, 13 has been considered by many cultures around the world as the age that a boy becomes a man. Thus, at State Street Barbers, we offer our signature Child Haircuts for young men under the age of 13. While your son may not have a board of directors to impress or important dates in his day planner yet, it’s important to get a routine established so that he understands how important grooming is. 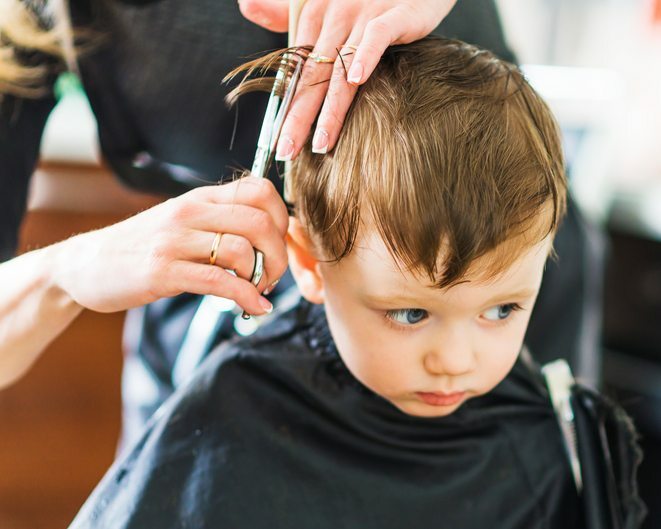 When you bring your young gentleman to State Street Barbers, we’ll provide all of our regular services (except, of course, our hot lather shave—we’ll wait a few years for that! ), but we make sure the cut is age-appropriate, contemporary, and to their liking. Our signature haircuts include a seat in one of our luxuriously comfortable chairs, a hot face towel, a flattering cut and style, and a mini neck and shoulder massage. It’s the ultimate haircut experience for a young man, and it’s the perfect prep for adulthood. With locations in River North, Lincoln Park, Old Town, and Lakeview, State Street Barbers’ stylists and barbers are experienced and skilled, ready to provide you and your family with the best looking mens’ haircuts, no matter how old you are. We start each of our signature haircuts with a scalp shampoo and condition, so your hair will be at its cleanest when we trim it up. We do precision haircuts at State Street Barbers, with a straight razor neck shave for the ultimate look. Your gentleman in training will look great after a visit with one of our stylists or barbers. If you’re interested in a Gentleman in Training haircut for someone you know who could use a boost of confidence and deserves to look his best, stop into State Street Barbers today.